 Grab your friends and your favorite beverages for a fun social sewing event! As part of National Serger month, we're hosting a Sip N Serger event where you'll make a handy microwave bowl cozy. Bring your own soda, tea or other drink and we'll provide you everything else you need - including the serger, fabric, instructions and more! 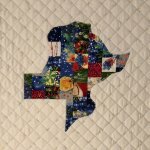 This class is to encourage & teach you basic quilting. This is a free class, however, you must purchase fabric here equal to the amount required for class & bring these fabrics to class. This class is teaching cutting with a rotary cutter, how to make 1/4" seams, & pressing. Come learn & visit. Sign up & get the supply list from the store. Love the State of Texas, this cute little pillow will help you show off that love of Texas. Exclusive Kimberbell designs once a month. Exclusive Kimberbell Project Every month. Save by purchasing whole year at once. 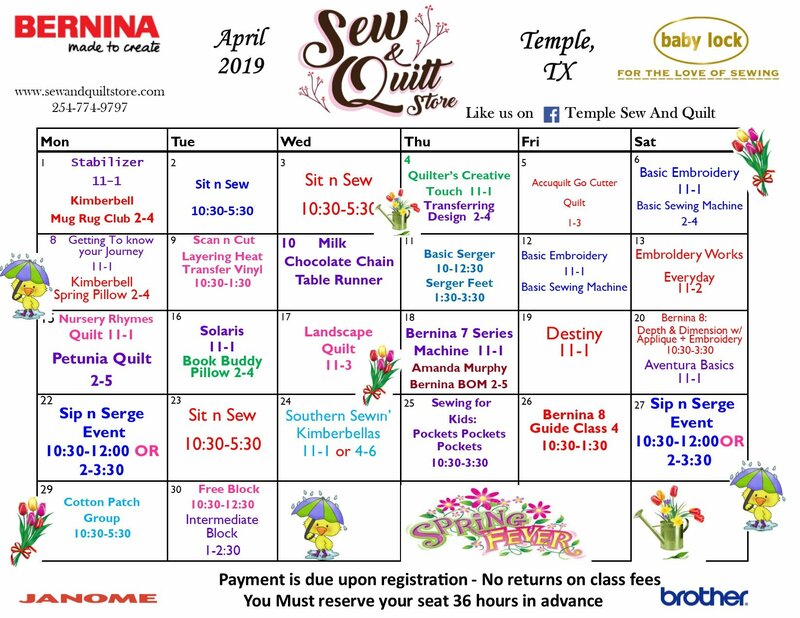 Westalee Quilting made Easy Party! See how easy it is to Quilt With Rulers at home, using the Janome Ruler Work kit and a variety of Westalee Design templates! 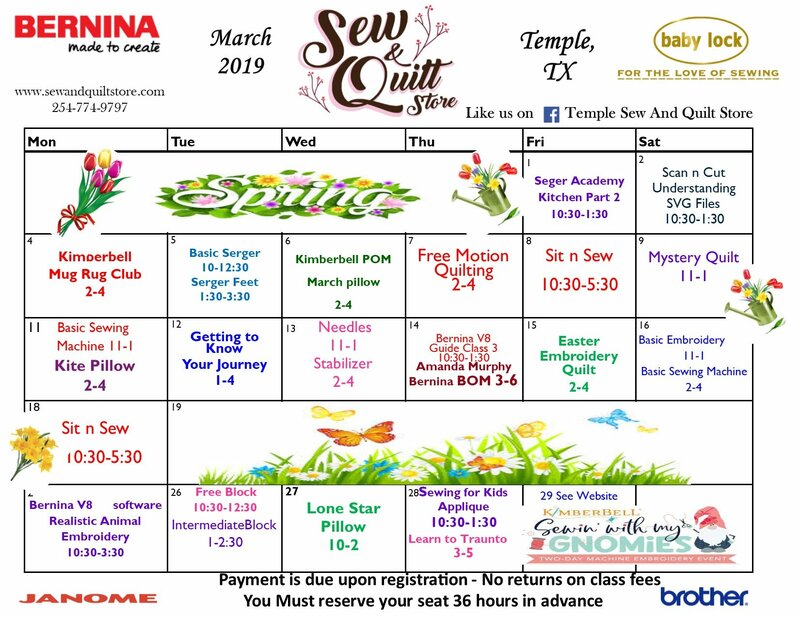 A Nationally promoted Sew Steady instructor will show you how to use Westalee Design educational tools and products that have been developed by Ruler Work expert, Leonie West!